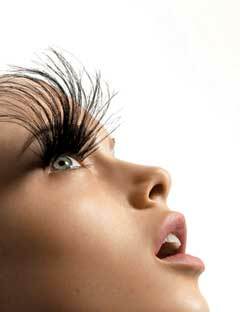 eyelashes extentions, and the result is amazing, it is a little expensive, and you need to go every month. Here I have some more economic and naturals ways, don't be shy and try it! Find Baby Powder and put it all around the mascara brush. 3.Before you go to bed and before you begin your day, use lip balm on your eyelashes to make them appear curlier. This will also make the eyelashes grow longer over time. 5.Chamomile extract is one component that can do wonders for your eyelash, it promotes the growth of healthy hair. Applying this to your eyelash regularly.